It seems that even allegedly name-dropping President Donald Trump as being his personal friend couldn't keep NASCAR CEO, Brian Z.
France, out of spending the night in jail. France was stopped by police on Sunday evening after jumping a stop street in the exclusive and affluent Sag Harbor, New York. Officers on the scene found France to be under the influence and made the arrest. As is protocol, they then proceeded to conduct a search and found him to be in possession of oxycodone pills without a prescription and charged with 7th-degree possession of a controlled substance. France, the leader of the auto-racing sports governing body, was arraigned at Sag Harbor Village Justice Court on Monday morning and then released on his own recognisance. Late on Monday, France apologised in a statement saying that he is taking a leave of absence to deal with his personal issues. "I apologise to our fans, our industry and my family for the impact of my actions last night. Effective immediately, I will be taking an indefinite leave of absence from my position to focus on my personal affairs." NASCAR, which is currently trying to revive their dwindling fan base, was created in 1947 by Brian's grandfather, William H.G. France – a stock car driver and fuel station owner. 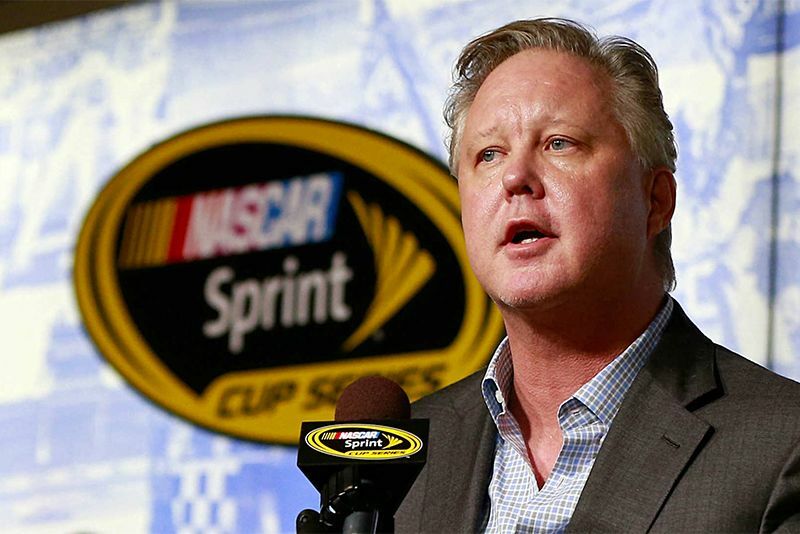 Brian France was named NASCAR's chairman of the board and CEO in September 2003. With the news of his leave of absence, Brian's uncle and NASCAR Vice Chairman and Executive Vice President, Jim France, has assumed the role of interim chairman and CEO, the organisation said. Video: Here's What Happens When A Nascar Tyre Fails At High Speed. Video: Nascar Pile-up Leads To Damn Nasty Crash!